The research never stops. Just found these yesterday. More below. On May 5, 1977, one of the biggest single events in the history of Trammel's Trace took place in Tatum, Texas. 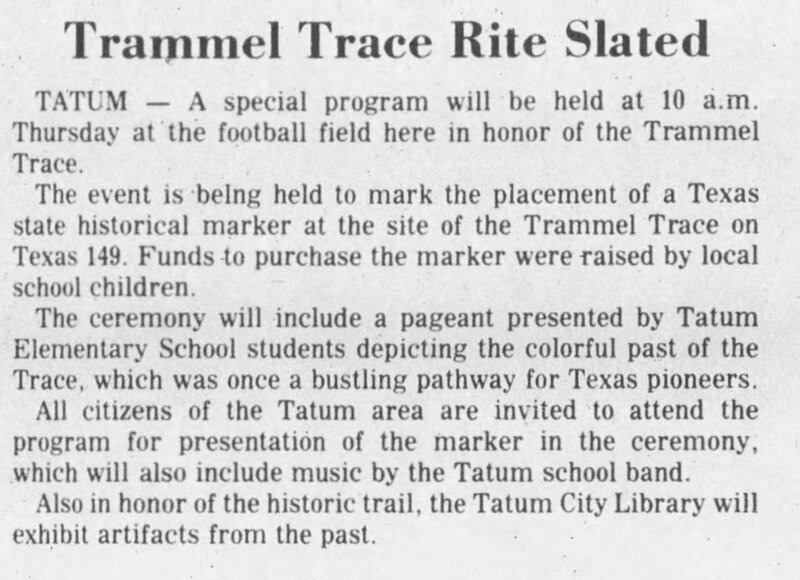 That was the day almost 500 people turned out at the football stadium for the presentation of the Trammel's Trace bicentennial marker that stands there still. 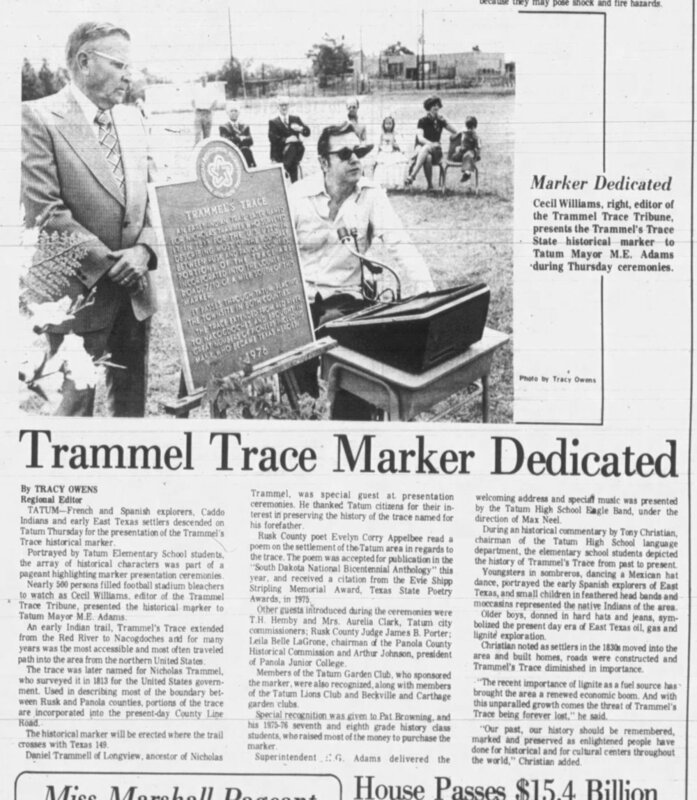 Cecil Williams, the longtime publisher of the Trammel Trace Tribune, led a community effort to get the marker. Local history students, along with the Tatum Garden Club, helped raise the money. Elementary students dressed as Caddo Indians and Anglo pioneers danced on the football turf. There was even a Trammell descendant there, a Dan Trammell, who seemed not know much about the history. Evelyn Corry Appelbee of Henderson read her poem which memorialized the people who used the road over the centuries. The county judge and commissioners, the Lion's Club, the president of Panola Junior College, and other local dignitaries were all in attendance. What an event! As I have talked about in my own presentations, one of the presenters also understood even then the challenges of preserving this old road. "The recent importance of lignite as a fuel source has brought the are a renewed economic boom, and with this unparalleled growth comes the threat of Trammel's Trace being forever lost," Those words, spoken by Tony Christian, head of the high school's language department, still ring true today. Poem by Evelyn Corry Appelbee of Henderson, read at the dedication.